I came back. Dr was ‘not around’. Instructed his junior to look me up. I remember this guy so well, clad in a binding Light blue suit – told him my symptoms & he asked for one thing – Full body checkup. Because my ‘symptoms’ didn’t present anything major he said. The usual was run a blood count, do a Urinalysis, and that’s it. So I got all blood work, pelvic scan, and I remember being delayed by the Cervix Cancer test extraction & showing up late for a conference I was supposed to Speak. Nothing yielded from the results. I was given ‘muscle relaxers’ because I was having pain underneath my left breast. With the joint pain in the left hip. And was having persistent fevers. That would just come and go. The Dr finally ‘came’ back from his trip. I went to see him & he said – well, all U need is to rest since there was ‘nothing’ wrong visibly. And so I went home. But I wasn’t convinced, because I wasn’t well at all. I could feel it. I struggled to wake up in the morning and so – it became a thing – no morning meetings unless I couldn’t help it. Thank God for the work that I do. I can work remotely from home and then schedule meetings later. That became my life – wake up after 9, depending – and then go to the gym – after 12 if I could drag myself out of bed and then start my day. Then one day I woke up with numbness. I couldn’t feel parts of my body. Would have to beat myself up for circulation to start. I began to get worried again. I asked my Dad for a neurologist. We found one at Platinum Hospital. First time I ever heard of it. Went to see him. By that time -my left side and right side felt different. My left was ‘on fire’. Right from the left eye. The Neurologist sent me for a Brain MRI. By then I had started speaking to 2 lovely doctors in the States. Bouncing ideas off them. One said to me: take the test just to get it off your chest. But none of your symptoms are that extreme. Scan came out clean. Doc sent me away with Neuroton & Gabapentin. By then I was walking with a visible limp and whether I was exercising or not – there was visible weight gain. The only way to keep it away was just not eat. I went back to living. I was walking with a limp and had muscle pulls but mainly left side – again. I kept looking for answers though – so for those that had a minute to listen, I shared and asked questions. So I met a friend who suggested physiotherapy. By then everything from my neck down to the ankles mostly of one side were in pain. Muscle cramps – everywhere. I remember going for a normal aromatherapy massage and thinking I had been beaten up by someone while in my sleep. My back was in so much pain. I had to find real orthopedic chairs to sit on while I worked. The physio helped. I did that for about 5 or so weeks intermittently because I had travels scheduled in between. Then – because I always went to see a doctor before or after travel, this one time – I found in the clinic I went to, a nice one with time on his hands and he listened. [Why do some doctors have pre-meditated notions of how someone is ?] He ordered a Brucellosis test – that came back +ve. I think I had I: 80 for titres – which is high. Usually – 1:30 is what is negligible. – That was 6 weeks of duo – antibiotics. Anyone know what that means – my immunity went down the drain, I could feel it. I remember trying to exercise and I felt as if there was water in my lower back being moved from one side to another. When I went to see a doc – even after treatment – he said I needed one month to be back in full shape to allow me do any kind of exercise. Whoa! That was like by then a 4th opinion that a friend has referred me to. With the brucellosis medication – the back pain dissolved totally. There was no need for physio but the weakness in my left side and the hip pain remained. And that had me worried. So I went to see this doctor referred by another friend who decided to run a couple of tests. The first 2-3 tests were okay- they were cheap and came out negative. No blood clots, No thyroid and I don’t know what else we tested for. The next set – broke me. More the cost, than the possibility of what it would indicate. It was the Lupus test. But it consisted of 12 different tests. It was the DsDNA 11 form test plus one other test. It came back -ve. And I was sent to another neurologist. Who when I visited him, barely looked up from his seat. He asked for a Carotid Doppler test for the left side. That test can only be done at Kampala Imaging Center [ found at Abayita Babiri] by someone that comes in twice or thrice a week 9-11 am. That was done. The test came out – ve, I was sent home with: exercise, eat healthy and medication to stop a heart attack. I think I threw those away within a couple of days. I was tired. I was not feeling well and I was being given medicine with absolutely no explanation and I hated that. Every doctor I saw – prescribed something. So I went back to my ‘usual’ doctor, whose default was Blood count, Urinalysis and pelvic scan. We did those – all clean, though my urine always had high protein residues – and so we started on muscle relaxers and NAT B + GINSENG I think to boost immunity. I said No to GINSENG after a while. I kept the NATB & muscle relaxers – until I got tired. By then, I was nursing intermittent fevers. At times I would barely get out of bed, but I had to. I had pain in the left side of my upper chest. My hip/pelvis still had pain. I remember popping in for physio and the left high is all they could work on – because that is what was in pain. The physio nurse kept saying – it must be a pinched nerve somewhere. I contemplated a nerve scan – but was told that would 1. Cost an arm and a leg 2. Would be lucky if the gentleman that does it is in town. Thank God I was busy – so time went on without me noticing. Sleep as much as I can – As I accept my fate – that I am an abnormal human being, who looks okay but is in pain and no one seems to understand. I am not crippled, I am not hospitalized, I can move, endure an hour in the gym and live life while in pain. Then I had to travel to the US – while there – I just fell sick. I was very feverish, yet normal, I couldn’t taste a thing, so I thought – it’s the usual UTI, I drank tones of cranberry juice. I was nowhere near a minute clinic or an ER. Otherwise, there were mornings where I could have just walked into one. But I came back home straight to the Doc – who this time around said: Do you need to see a shrink? Are you stressed? Is everything okay? I had never been so mad in my life. I left with more muscle relaxers and I don’t know what else. Which I am so sure I threw away after that. A few days later – I crawled out of bed and went to do a Malaria test. Because I hadn’t done one and the fevers were intense. I then decided to see a doctor. The usual ‘boss’ wasn’t there, so I went in and saw someone else who was new. [Been going to that clinic for over 9 months, first time seeing him] but he was older. He listened and ordered the malaria & another test: ESR – supposed to show if there is any inflammation in the body. He said it would take an hour – “you can come back later, you will find your medicine waiting for you” he said. He seemed to be sure what could be wrong. Came back hours later and yes I had medication. I asked the lab guy what the results were like and he looked down – “eh, they were high he said.” Helpful much. By then, they had grown accustomed to me walking in just for the lab – because I was tired of listening to doctors say the same thing to me. I think he said my ESR was at 45. Normal for any woman is 22. I breathed a sigh of relief – FINALLY – someone finds something wrong with me. I took the medication and went on my way. The next morning I felt anew. Clonazepam for sleep and Dexamethasone. I had a bout of energy and had, had a good sleep. What he didn’t tell me was that Dexa was a steroid – so yes goodbye fatigue – hello energy. I remember at one point not being able to sleep for 36 hours straight. Why – because of the medication, but also my brother’s wedding. After the wedding – I went for the same test again combined with CRP for protein levels and the ESR was 42. I was told – find a rheumatologist – or internal medicines specialist. I made a Monday appointment with the internal medicines specialist at about 9pm on a Thursday evening. I got the number of the rheumatologist who I called and they kept putting me off – sent a message and the reply was: I am on LEAVE. So, I left him and went with the specialist. I walked into that room, explained my self – by then my face was swollen – I looked like a pumpkin, I had got lighter. I had, had a rash on my face for as long as I remember and it was all gone. And that ladies and gentlemen is how it took exactly a year to get a diagnosis. Reading through all the Lupus Awareness online support groups and I am so thankful because a lot of Systemic Lupus Erythematosus [SLE] patients have it worse. I can see that these are symptoms I have carried through life really: the light affecting my eyes – I am not short nor long sighted, the butterfly rash that I had on my face, [that’s the one thing my Dad remembers, that he can’t see any more] the general fatigue – I just told everyone that I wasn’t a ‘Morning Person’. It became a part of me. The numerous infections, the weight gain and fevers that would just come and go. And now I have to soldier on – get off the steroids and work with the doctors to find a specialized therapy plan for me. I can already visualize it; Gluten free, dairy free maybe a probiotic here and there, because all these are already causing IBS -, lots of green veggies and turmeric tea. [Thank God for HNT] Lots of water, sleep and moderate exercise.- It is a journey that I embrace because I now know what I am dealing with. 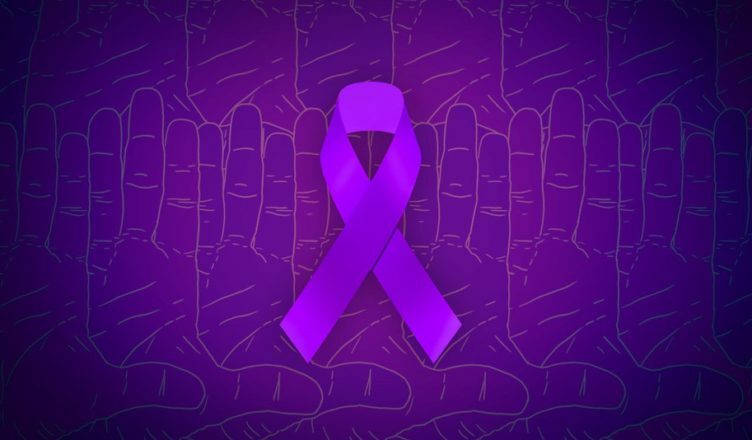 But I also join the many soldiers that exist: the Lupus Warriors – who are mainly women – up to 90% of them, and who are also mainly women of color. Research shows 2-3 of the women diagnosed are women of color more than Caucasians. Only 10 % of those with Lupus have a close relative with the disease and only 5% of children will develop lupus if their mother has it. [My babies are safe – Hallelujah] Oh, and it is not contagious – Its okay to Love a Lupie! Lupus is also known as an invisible illness – one appears fine but feels horrible. Once in while one forgets or even the people around them do forget – but the rule is : “Prioritize and pace yourself” I love doing things for people – I always get out of my way – but now I have to reconsider and learn to rest. But also – I look forward to beating this illness. Because I can. I currently have Apple cheeks thanks to the steroids but this too shall pass. Because it is an ‘evolving’ disease still under researched – the facts exits but they are diverse. And for some reason – it is an ‘American disease’. These Links should be helpful. This is way too much… my heart is pained just reading what you had to go through. I am thankful that you have shared your journey and diagnosis. I am thankful for your strength and courage! I am sorry for those that dismissed you! I’m no specialist, I have no medical degree but I’m here ready to help in whatever way I can. You are quite something Ruth. This is too much to go through yet you soldiered on quite strongly. I salute you and I speak healing into your life!!! 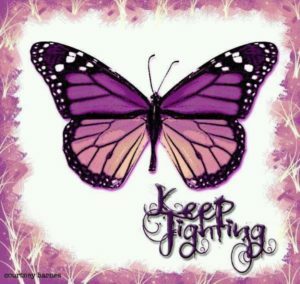 You will beat Lupus my friend. I am sending prayers your way. Kash,Long time. Great reading from you and Thank you. May God give you the strength to ride this journey to full recovery. It’s okay: Am alive and well & fighting hard to get better. That’s what matters. Thanks for sharing Ruth. You have been through a lot but your will, determination and self awareness have helped keep you and will continue to do so. Your strength in sharing this will no doubt help countless. We are never defined by our struggles, only moulded by them, and you dear lady are a survivor and inspiration. Yes, what we overcome is what makes us stronger. Thank you Jemila. Thank you Ruth for sharing your story, it could indeed answer the questions of another person out there struggling without answers. Love, light and strength go out to you! Thank you. I am hoping it helps quite a number too. The awareness needs to be raised. Wow, that was a lot. You will fight this with grace and strength. God bless you on your journey to fine fine health. Hey Ruth, you’re definitely a strong person, very strong for that matter. Reading through this has given me one impression: you will overcome. If you fought so hard without knowing what you were suffering from, how much more when you now know? So, yes, you will overcome. I will share this to help countless other people. Thank you Maurice. We shall overcome indeed. Ruth, I’m so humbled by this your story. There are quite a number if lessons to learn. And for soldiering on, being courageous to share this with us, much respect. I actually my best auntie was aslo diagonised with Lupas but it always killed me seeing her waste away in too much pain and having no clue about the cause for almost 4 years. True, its a really painfull jouney and i pray for you Ruth. Its painful but better when you know what you are dealing with. Eh… Ruth. U hv gone thru alot. I pray that God gives u the strength to soldier on n more than that,may He take this pain away. Stay strong n know tht yo in our thoughts n prayers. Hey Ruthie, so sorry for all that you went through and we thank God For the grace and courage For thus far that you have come. You will beat the lupus. And You will live to tell your grand kids the story of how you beat it! To many more longer and healthier years ahead of you. Love you hun. Till the end, I was desperately hoping you were telling someone else’s story. 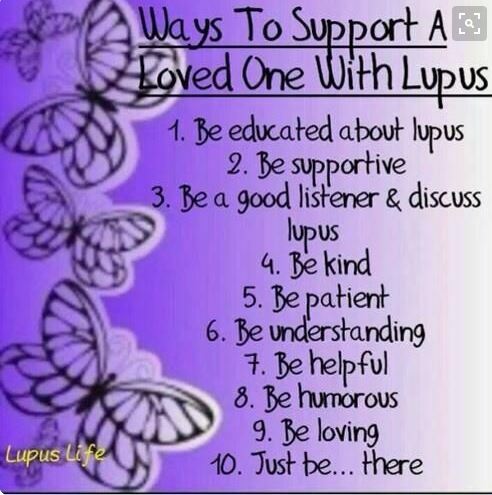 I have a friend in Nairobi that’s suffering with lupus too (https://jmaruru.wordpress.com) and every time she shares her experiences, it’s like I’m feeling their pain too. You are a fighter and I’m rooting for you to win this one. We connected already. Many thanks. Ruth, I can only imagine your frustration as you searched for answers. I am so grateful that you got them and will pray for and with you that you emerge, victorious. I am reading this and smiling. Why? Because I know that you are going to beat this and your journey is a testimony for many more people out there. When I was going through my own challenging health scare, I remember telling God, If it’s me you’ve chosen to live through this experience then it means you love and trust me enough to take one for the team. The alternative us to ask. Why Me? And if God responds with ‘Who else? ‘ – Who could you possibly pick? So , remember all things work together for Good to those who love the Lord and are called according to His purpose. Keep smiling , with the smooth face . Lol. Keep soldiering on ,with a brave heart. Keep sharing your journey, somebody needs to hear it and draw strength from it. And finally, welcome to the Warriors Club . We are the chosen few. Much much much love from Nairobi. I applaud your perseverance in such a tough experience. Your story is one of triumph, for many would resign themselves to fate given the situation. It’s by sharing such stories that many are encouraged. Very sad that you had to go through all this before finding the real problem. Healing starts from the mind and the positivity in this story is already an indication of the healing journey. Embrace nature, go for forest walks, walk by the beach, soak yourself in a hot spring, work but rest more, it will all be well. You will conquer this one Ruth and Godspeed. In the Lord we find grace to over come. May He walk with you in all till you become totally fine. Blessing to you. Prayers for you, Ruthie! Seeing this a month later but so glad you shared. Much love. A sobering story indeed, I am grateful to the Lord for the strength that he gave you to not give up and that my friend is truth to all of us that read this. Through you, there is a pathway to discover a greater knowledge about the causes of our silent killers. Thank you Ruth and may the good Lord continue to flourish you with perfect health. This is sad Ruth, but you will beat it! That I am sure of. Thank you for sharing, will pray for you……always! Ruth Ruth Ruth…..I have read this with my mouth wide open in shock dismay n yet with a lot of new found respect for you. This is a lot indeed. At one point I had to check to see if I had seen right…But hia is what I knw for sure….great and amazing people such as yourself get tried and tested the hardest and I knw for certain that if not for another story this is for you to touch another life in more ways than just your writing. My prayers go out to you. I knw soon I will read the victory story. Soldier on darling.